Editorial: Do we really need more more opioid summits? Terri Ferguson lost her son, Joshua Brabender, to a heroin overdose on Jan. 2, 2016 at the age of 24. She doesn't need a White House summit to tell her we have a problem. "I glaze over every time I hear about high-level 'talks' about the heroin epidemic," she said. "Less talk, more money, and more action." The White House convened an opioid summit Thursday. It featured First Lady Melania Trump, presidential counselor KellyAnne Conway, Cabinet secretaries, the attorney general, about 200 participants and an appearance by President Trump. He talked about tougher penalties for drug dealers, going so far as to mention "the ultimate penalty," death, for dealers. The first lady read a letter from a mother who had lost her son to an overdose. "Sadly, she's not alone in her grief, and we need to change that." Yes. Please. Change is long overdue. In just one year (2016), in just one state (Ohio), 3,495 mothers' children lost their lives to opioids. This death toll has been growing for more than a decade, and we are still holding White House summits. Talk without action costs lives, he said. "Each day we talk, have summits or speak words without immediate action, when those on the streets dealing with this issue for years have been telling everyone what is needed, prolongs the epidemic, suffering of families, impact on communities and the daily deaths that could have been intervened," Synan said. 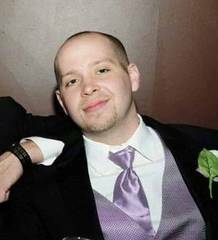 Amy Russ lost her son, Eric, to an overdose of heroin and fentanyl on Nov. 15, 2015 at the age of 27. Synan points out that the White House already has a playbook on how to take action. In November, the White House Commission on Opioids, which was appointed by Trump, issued a detailed list of 56 specific, targeted recommendations. They included making block grants to states, federal coordination of the responses, funding a mass media campaign, broader training of doctors and expanded treatment. The president and Congress could begin carrying out those recommendations today. "If the president would just enact those recommendations it would be a good start to help make a dent in this," Synan said. The Commission itself said in its final report: "The time to wait is over. The time for talk is passed. 175 deaths a day can no longer be tolerated." Nan Franks is the head of the Addiction Services Council in Cincinnati. She was too occupied with her work to pay attention to the White House show, which was broadcast live: "We are busy helping people who are struggling with addiction and have little time to watch summits." Charlotte Wethington lost her 23-year-old son, Casey, to a heroin overdose on Aug. 22, 2002. She's been speaking out about it since then. "I've been listening to more talk than action for almost 16 years," she emailed. "And tragically hearing of more and more lives being lost to a TREATABLE illness!!" The addiction epidemic is a complicated crisis that demands coordinated strategy that includes law enforcement and prevention, but expanding treatment and making it easily available is essential. "My son died before the increase in treatment facilities and the widespread use of Narcan," Terri Ferguson said. "If someone had come to my son to offer him immediate rehab within 12 to 24 hours of his last use of heroin, he would have jumped at the chance. He could not find inpatient treatment before the demon took hold again. In my humble opinion, this is where our efforts should lie." 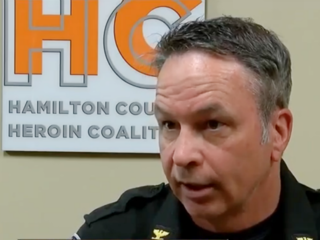 If you or someone you know needs help with addiction, you can call the Addiction Services Council 24-hour hotline: 513-281-7880 in Ohio; 859-415-9280 in Northern Kentucky. You can also access this comprehensive resource guide to find help. Dear Mr. President: What are you waiting for?